Often overlooked, but rarely underwhelming, Instructor events are a great way to enhance your group fitness team’s performance and togetherness. Here, a range of group fitness leaders explain how events form a key pillar of their club’s Instructor strategy. Most of the world’s successful club chains place strong emphasis on Instructor development. Rockstar Instructors are forever sharpening their skills and seeking out ways they can improve their knowledge through education and industry events. Continued high-quality training for Instructors enhances their ability to create outstanding class atmospheres that keep members coming back for more. In-club events are another excellent way to help your team raise their game while bringing instant benefits to your club’s bottom line. Emerging from their military helicopter on the deck of the USS Midway, the leaders strode purposefully to the stage. Surveying the neatly-formed rows of recruits in front of them, they snapped into action and began leading the 800-strong crowd through a series of sharply-honed manoeuvres while chanting in unison. The energy was palpable. They were ready for combat. BODYCOMBAT™. For this wasn’t a naval battle rally. The leaders were Les Mills rockstars Dan Cohen and Rachael Newsham, while their troops were group fitness Instructors. 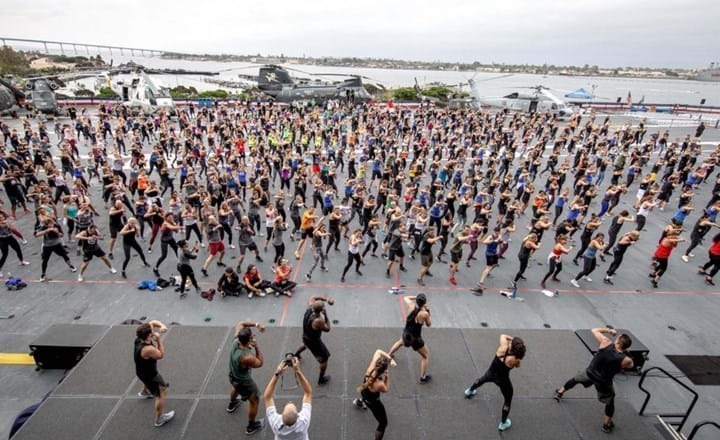 This was BODYCOMBAT on a battleship – the centrepiece of the LES MILLS LIVE event at IDEA World Convention 2018 in San Diego. “It was absolutely incredible – truly electric,” says Micki Stary, Senior Director of Group Exercise at 24 Hour Fitness, who hitched a ride in the chopper with Dan and Rachael. 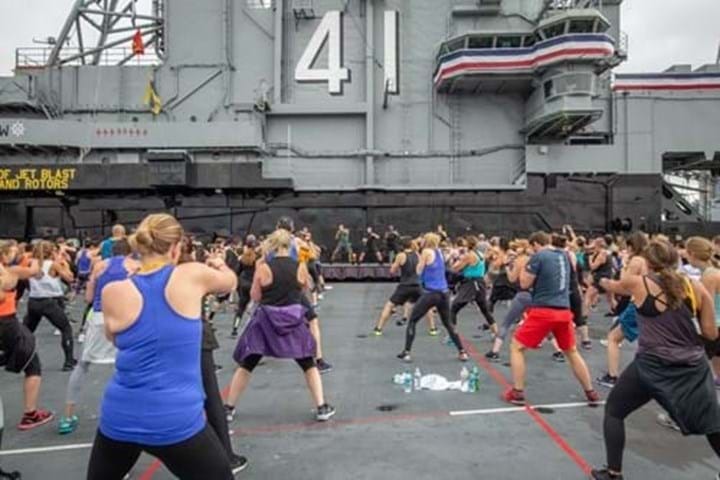 Not every event for group fitness instructors features a mass workout on the deck of a US Navy battleship, but you can still be sure they’ll bring significant benefits to your team. It was Woody Allen who said that 80 per cent of life is about showing up. This is especially true when it comes to group fitness Instructor events. There are often lots of reasons why Instructors feel it’s a struggle go to events – whether it’s freeing up the time from a jam-packed class schedule, finding someone to cover for them, or the cost and inconvenience of getting there. But much like the members, we work hard to motivate into attending the gym, that initial reluctance to turn up is quickly replaced with satisfaction at having made the effort and reaped the benefits. So why should group fitness Instructors make time for industry events? And what benefits will health clubs gain by supporting their teams to attend? Here are five reasons why every Instructor should make events a mainstay in their fitness calendar. Just like athletes, rockstar Instructors are forever sharpening their skills and seeking out ways they can improve. That’s why they’re sure to turn up for the seminars and educational sessions at industry events (as well as the socials!) to help develop their knowledge. In the fast-moving fitness industry – where science, technology and innovation are forever throwing up new ways to workout – it’s vital to keep up with the curve. Whether it’s fresh thinking around motivation and psychology for motivating their class participants, or important insights on technique to keep them safe, constantly updating knowledge is now essential for the modern fitness professional. Great personalities are no longer enough, the stars who really stand-out are those able to offer constant insights to their class because they're the ones who have done their homework. “Education – and especially the motivation and inspiration that these events bring with them – have an amazing effect on clubs, instructors and our members,” says Ine Engelen, BD Manager for Live GX at European health club giant Basic-Fit, who recently attended a Les Mills MegaQuarterly event in Amsterdam. Continuing the sports theme, while athletes are always working to up their skills, nothing gives them a bigger lift to be better than witnessing the brightest stars in action. The best fitness events will feature world class Instructors and presenters bringing an incredible buzz to the room and a massive dose of inspiration. Having heard the buzz building around IMMERSIVE FITNESS™, Tahoe Mountain Fitness Co-Owner and Lead Instructor Holly Hust travelled across continents for a double dose of education and inspiration. “We were really intrigued by this new concept so we travelled all the way to the Les Mills LIVE event in Amsterdam to experience THE TRIP™ for ourselves,” explains Holly. 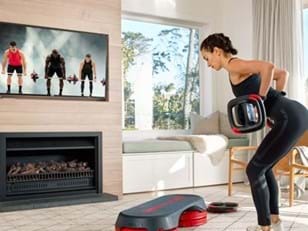 Having the experience of working out with the best, when the music is pumping and the atmosphere’s jumping, is a sure-fire way for Instructors to ramp up their skills. They leave re-energised, ready to come back and recreate these incredible experiences for their club’s members. Being in the same room together with hundreds, if not thousands, of fellow group fitness Instructors can have a major effect on each individual in attendance. Better still, this can have an equally big effect on cohesion between a team of Instructors. The feeling of getting better together, enjoying world-class instructors, tangible energy and the ultimate sense of a profound shared experience can bring huge benefits to a team’s culture. “When I took on my position 18-months ago, the biggest priority for me was focusing on our team culture," adds 24 Hour’s Micki Stary. “We treated IDEA last year as a group exercise leadership summit and the Friday night LES MILLS LIVE event was the most powerful moment for a large majority of our team. “They were just ecstatic. It was very powerful from a culture perspective for us and we’ll do it again this year. As well as helping your team to forge closer ties to each other, industry events are an excellent opportunity for Instructors to make broader industry connections and grow their network. ‘Treat your network like a muscle, stretch it often and watch it grow’ is a mantra many professionals live by, and it’s a sound philosophy to drum into your team. For Marlin Van Hal, Product Manager at Dutch health club chain FitLand, Instructor events are a key part of her staff development strategy. “Apart from being hugely valuable to speak to my network in an informal setting, the Megaquarterly event in Amsterdam I recently went to was an incredibly cool event for our trainers,” she says. “For them, it’s a great way to combine useful (and necessary) education with enjoyment. It gives Instructors the chance to relax together with colleagues and like-minded people in an amazing environment. 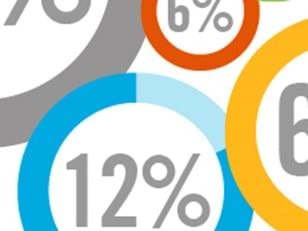 Yes, there’s always the small chance that one of them may end up sowing the seeds for their next job offer, but there’s just as good a chance that your club can gain talented new team members as a result of their new connections. And for the rest of your team, building broader networks will help open their eyes to new ways of thinking. This helps them become better-rounded professionals and may also help spark fresh ideas for how they can improve the group fitness experience they’re giving to members in your club. Despite our best intentions, sometimes life still gets in the way and chances are there will be times when your Instructors can’t make it to important events, even though they want to. These instances are a great time to tap into the power of holding events in your club itself. While the focus will be on members rather than Instructors, holding events in your club around quarterly program releases is a great way to get your group fitness team working in tandem to provide enthralling fitness experiences, as well as giving them the added buzz of a stage to perform from. In-club events can be great for your Instructors, and even better for your bottom line. 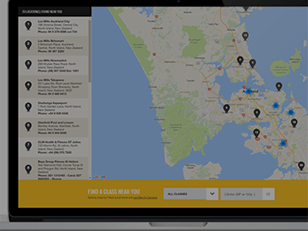 They’re the ideal opportunity to incentivise current members to bring friends along, as well as build a PR buzz around your club which can translate into dozens of new members. When West Wood Club in Dublin recently took the plunge and relaunched its cycle studio with THE TRIP, the team went all out to build a buzz, with a big party and classes running throughout the day.